The 2014 World Cup final in Brazil was supposed to be Lionel Messi's crowning moment, the chance for him to take his place alongside Diego Maradona in Argentina's pantheon of heroes. Instead, defeat by Germany set in motion four years of chaos in the international set-up that has brought one of the great footballing nations to its knees and leaves the South Americans staring at a ignominious early exit in Russia. Barring an unlikely sequence of results, this gilded generation of players looks like being forever remembered for a succession of bitter defeats. 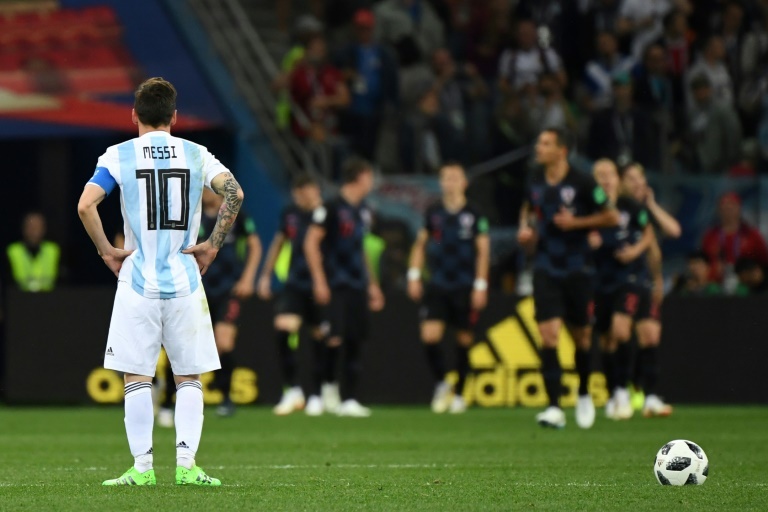 Argentina's struggles in Russia should come as no surprise after their pre-tournament preparations were wrecked by controversy and poor form, coupled with a reliance on a top-heavy, limited squad. They found themselves at the centre of an Israel-Palestinian spat over the cancellation of a World Cup warm-up match following an unconvincing qualifying campaign. The game against Israel, planned to take place in Jerusalem, was called off after a campaign by the Palestinians following its relocation from the northern city of Haifa. It meant they arrived in Russia with a 4-0 win against 104th-ranked Haiti in May as their only outing since an ominous 6-1 loss to Spain in March. Argentina almost failed to qualify for the World Cup in the first place. They were on the brink of missing out on the finals for the first time since 1970 before Messi's hat-trick against Ecuador dragged them over the line. The AFA was placed under administrative supervision in 2016, days before the Copa America Centenario final, after being hit by corruption allegations and rows over TV rights. Former AFA head Luis Segura quit after he and six other AFA directors were indicted on suspicion of embezzlement over the distribution of broadcasting revenues. Worse was to come as Messi abruptly announced his international retirement following a penalty shootout loss to Chile, Argentina's second Copa America final defeat in two years, citing frustration at the way the game was run in the country. Messi's future became practically an affair of state when Argentina's President Mauricio Macri called on him to stay. "Lionel Messi is the greatest thing we have in Argentina and we must take care of him," Macri said shortly after the player's bombshell announcement. Martino's replacement, Edgardo Bauza, ultimately helped convince Messi to reverse his decision weeks later, the Barcelona star conceding his "love" of his country was "too great". Bauza lasted less than year, jettisoned in April 2017 with Argentina languishing outside the automatic qualification places soon after Claudio Tapia was elected president as part of a leadership shake-up at the AFA. 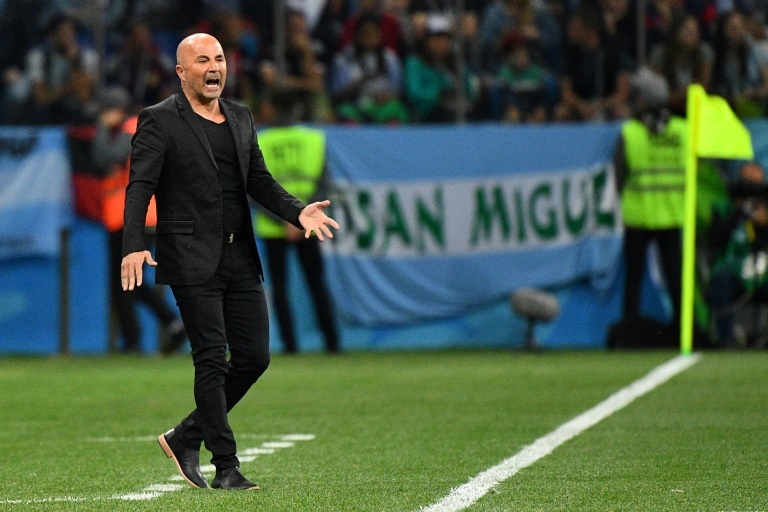 Jorge Sampaoli, with the blessing of Messi, pleaded for patience as he was drafted in as Argentina's third coach in two years. "We are starting a new era, we need to improve and consolidate an idea and that takes time," Sampaoli said after his appointment. While an inspirational Messi clinched qualification in the dizzying heights of Quito last October, the obvious faultlines were badly exposed in an embarrassing 3-0 loss to Croatia on Thursday that leaves the team on the brink of a World Cup exit. "We lost very badly, they really humiliated us this time," said 22-year-old Joaquin, at a fanzone in Buenos Aires. "I can't remember a worse performance from us at a World Cup," former Argentina defender Pablo Zabaleta, who started the 2014 final, said in his role as a pundit for the BBC. "Everyone is so angry at home. They were really poor." Argentina must now beat Nigeria in their final Group D match and hope other results go their way. "Messi, who keeps winning for Barcelona, who continues to deliver triumph after triumph for Barcelona, has given us nothing but defeats and sadness," said Miguel Angel Gutierrez, a 50-year-old Argentina supporter in Buenos Aires.